What is Your First Step in the Home Buying Process? You have made the decision to begin your journey to home ownership. Way to go! So…where do you start?? ~Understand what it takes to be approved: A lot of people think that getting a pre-approval or approval letter from a lending institution is as simple as just looking at your credit score. Wrong. Just because you have great credit does not mean that you will be pre-approved to purchase a home. A lender will look at many factors, not just your credit, to determine if you can be pre-approved. Most importantly, they will need to look at your debt to income ratio. A good lender or loan officer is going to ask you for a lot more than just your social security number. In fact, they are going to ask you for just about everything but your first born during the full approval process. Although it may seem like overkill, they are doing this to protect themselves and you. They want to make sure that you can not only afford the monthly payments for your home, but that you can safely afford your other payments as well. Additionally, there may be something on your credit score that you do not know about. Best to know about any glitches in your credit that may affect your ability to buy a home up front. ~Determining Your ‘Purchasing Power’: Your lender will approve you for a loan up to a certain amount based on your income, credit score, debt to income ratio, etc. You will not be doing yourself any favors looking at homes prior to figuring out what this number, aka your ‘purchasing power’, is. There are two reasons why figuring this out prior to looking at homes (online or otherwise) is very important. First, the last thing you want to do is start looking at homes that are out of your budget. If you start looking at homes that you really can’t afford, the homes that you can actually afford will pale in comparison. Why let yourself down? What you want to buy and what you can afford may be too very different things. Secondly, just because you “CAN” afford it, doesn’t mean you “WANT” to afford it. I find that most buyers I work with are not comfortable spending the full amount that they are approved for once they find out what their monthly payments will be. 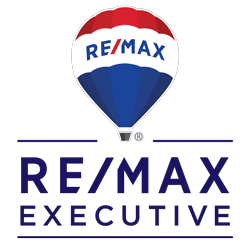 You need to determine what the max amount you are comfortable paying monthly towards your home will be to determine the list price of homes you are looking at. Keep in mind that every month you will be paying not only the principle & monthly interest of your loan, but taxes and insurance as well. If you tell your loan officer what you are comfortable paying per month for a home, they can let you know what your purchasing power will be. ~Don’t Waste Time: Of course you don’t want to waste your own time, but think of everyone else’s time you will be wasting by not finding out if you can potentially afford a home prior to going to see it. Sellers do a lot to prepare their home for your visit. They thoroughly clean & tidy-up their home, remove pets, kids & THEMSELVES. Sellers are under the impression that the buyers walking through their home can actually afford to buy it…otherwise, why would they put themselves through all that? Also (and for obvious reasons this is important to me), do not waste a real estate agent’s time. Although my personal policy is to not take a buyer to see any homes prior to speaking with a lender, some agents will just trust you when you say that getting pre-approved ‘will not be a problem for you’. Real Estate agents work for FREE until they sell a home. Did you hear that?? Free. That’s zero, zip, nada, nothing. I am sure that if someone asked you to do your job for free, you would laugh and think they were crazy! Do yourself and others a favor by doing your homework! Getting pre-approved can be as easy and painless as a 10 minute phone call. ***If you need suggestions on finding a good, reliable lender to get pre-approved, contact a real estate agent. Every real estate agent has a list of preferred loan officers that they work with that have done an excellent job for their past clients. Utilize their recommendations as they have proven themselves to be great loan officers! It is also a good idea to call at minimum 2 lenders. You will want to compare rates, points, loan programs, etc to ensure that you are given all options possible.